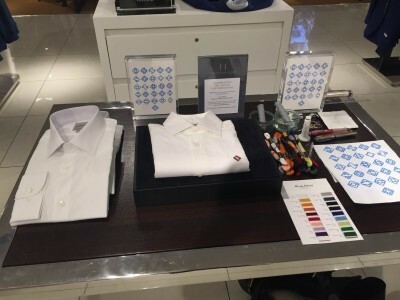 From Friday the 2nd to Sunday the 4th of October, Hawthorne and Heaney spent the weekend demonstrating luxury hand monogramming at the Hardy Amie’s concession in Harrods. 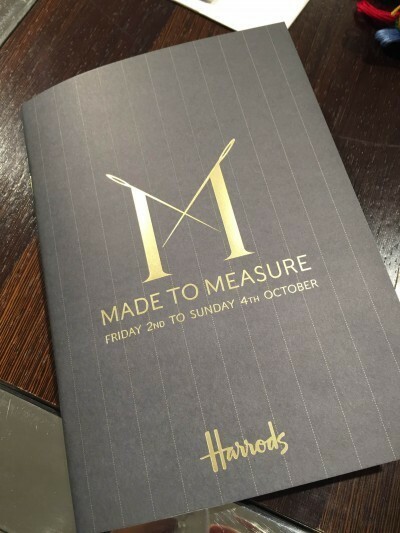 The Autumn/Winter “Made to Measure” event at Harrods focused on customisation in premium men’s tailoring, showing how different items can be personalised. 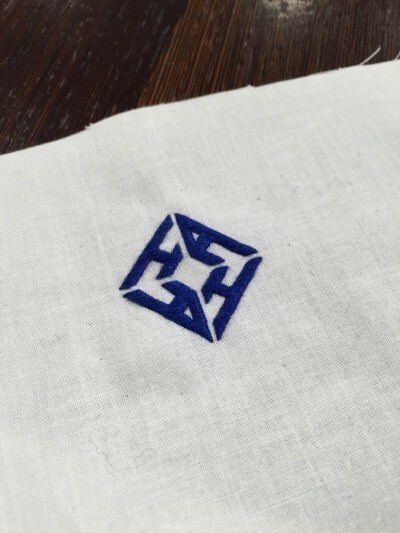 Hand monogramming presented by Hawthorne and Heaney is a skill that requires attention to detail, patience and practice in order to produce pieces of the high quality that was shown over the weekend. The font was designed for the event by Hawthorne and Heaney, and looks stunning when embroidered onto one of Hardy Amie’s shirts. 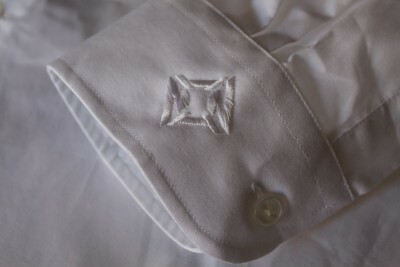 There was a range of different colours and positions of monogramming presented during the weekend demonstration, including this subtle white on white example of a cuff monogram.